Montessori principles result in increased safety, reduced agitation and wandering, and promote improved quality of life, self esteem and independence. They give residents a reason to get out of bed every day and can complement other models of care. 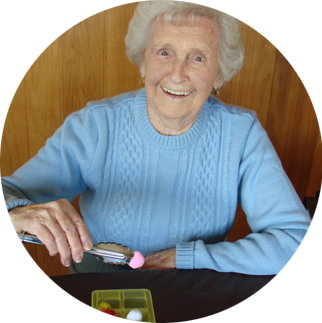 By using Spaced Retrieval Techniques people can learn procedures and routines to increase independence and safety such as taking medication, locking doors, using walking frames and other strategies designed to maintain independence and manage anxiety or other behaviours that are the result of unmet needs. The end result of these strategies is increased independence and meaningful activity.